While it may have started out as a typical day with me heading in to work at 8am, I had plans to get out from behind the computer today. I tried to rip through my emails and work as quickly as I could. 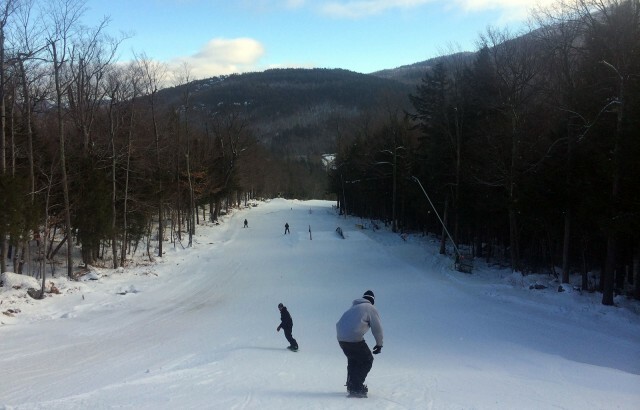 Not because it was Friday, but because I had an 11am meeting scheduled with the guys on the Whiteface Mountain Park Crew for an interview and a few runs -- and I was looking for a little work playtime on the slopes. At 10am I started to wrap things up, and was out the door at 10:15 to run home and grab my snowboard gear. At home I geared up, snowboard pants, jacket, gloves, hat, neck warmer, snowboard socks, boots. I started to tie up my boots and got almost done with the second one when it occurred to me that I hadn’t completely thought this through, this was definitely a park day and I was going to want to hit some features. So, I took my boots off and added my crash pads and rail guards and dug out my helmet, which I’ve been meaning to wear consistently now that I took the time to get one that fits to my liking. They make pads for just about everything these days, so with my knees, shins, hips and tailbone now protected I laced my boots back up and was ready to go. I’m not as resilient as I used to be and it takes me longer to heal. It takes my mind off of what could happen to said tailbone or shinbone if I have a failed rail attempt. Removing that worry equals more confidence and better focus. I hop in my car, and enjoy the scenic mountain drive along the river as I make my way through the notch and to Whiteface Mountain. 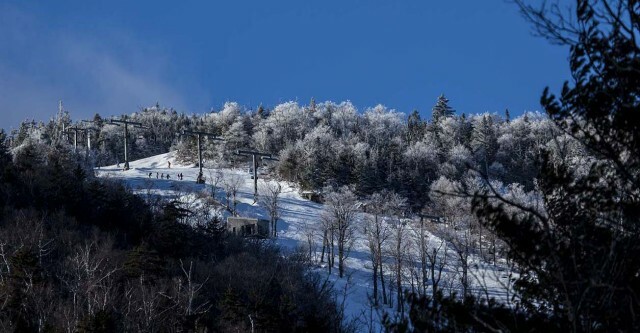 My commute was about 15 minutes from Lake Placid but if you're visiting there are lots o’ places to stay close by in Wilmington (home of Whiteface). 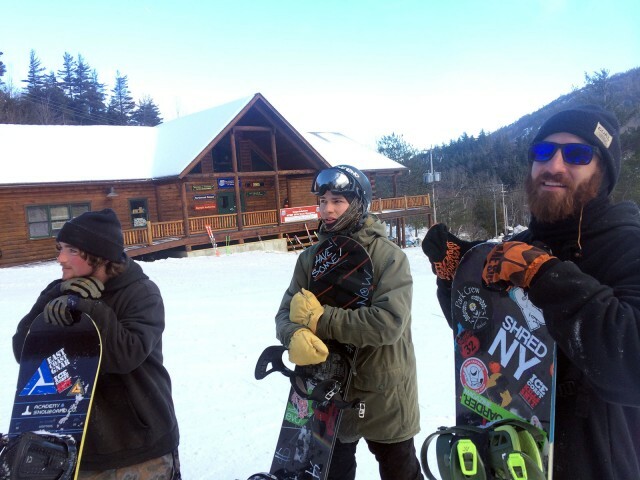 I parked and headed into the lodge to get my lift pass, then called Josh, the Terrain Park Director to see where he and the crew were at. Josh had just gotten to the top of the main park on Brookside, he said to meet him at the jump line up where they were doing some work. Sounds good, so I headed up the lift. Making my way down the trail towards the park, I obey the one park rule I’ve made a pretty good habit of - to look before you leap. 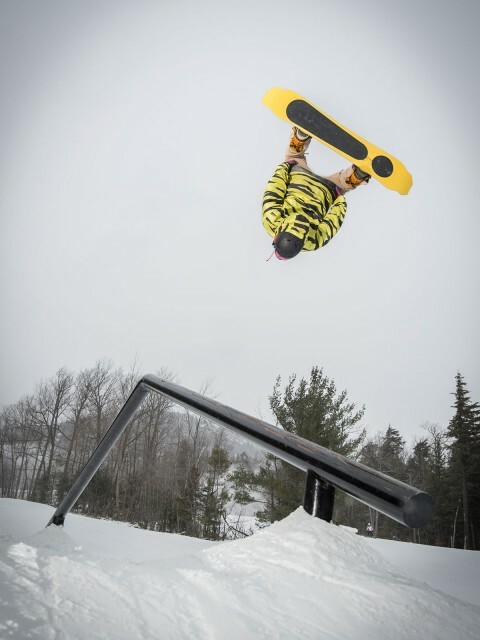 I usually check out the take offs, features and landings of everything in the park before attempting to hit it. I check for ice, debris, make sure the take offs and landings are smooth and make sure the features aren’t damaged. Since I really hadn’t ridden the park this year, I was also just checking everything out to, well, check it out. Since I wasn’t hitting anything I was careful to stay to the sides of the trail. And, when I was checking a feature out, I made sure I wasn’t in the way of anyone coming down through the park. I stopped at the top of the knoll that over looks the series of the largest jumps in the park, I saw the guys below, I waved and headed down. What I love about the guys on the park crew is they do what they love, and love what they do, and it shows. 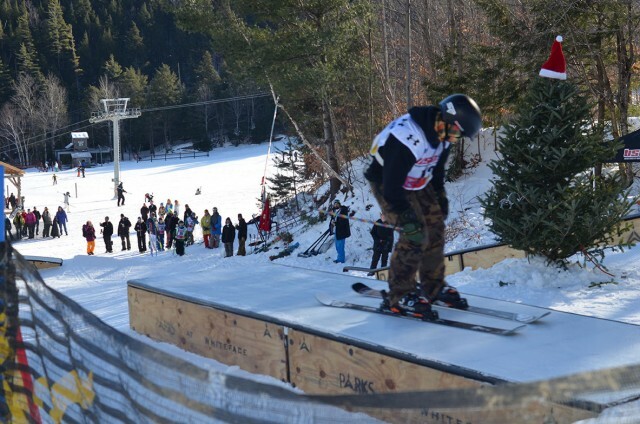 It is always a blast to ride with them and it’s been fun to see how the terrain park has progressed over the years. At the moment the guys were busy cleaning up the sides of the jump to make sure it looked its best for the weekend. I said hi to everyone and Josh asked if they were all up for taking a run. They finished up and grabbed their boards and we were on our way. 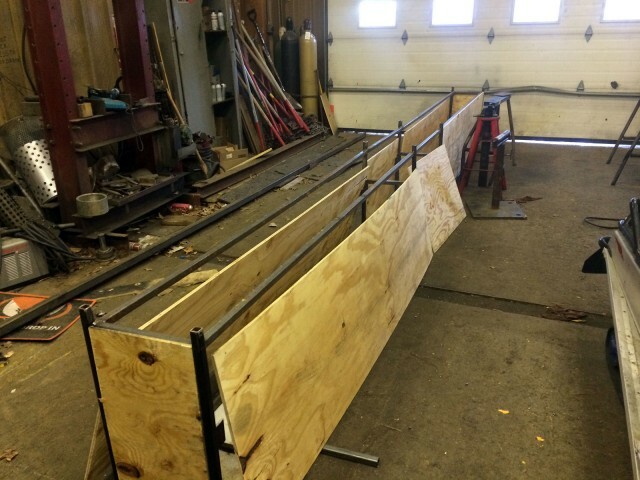 At the bottom of the jumps were two features side by side, a rainbow rail on the right and the A frame on the left. Most of the group opted for the A frame: Josh decided to slide under it while Tyler launched over him; another two paired up one hitting the A frame with the other on the rainbow rail. I opt for the rainbow rail, I was familiar with it and hadn’t checked out the A frame before. We stopped for another pow-wow, so I could ask some questions... what are their favorite features in the park? The majority said the A frame and/or the C rail, with the 5 kink down rail included, and then there was Collin who couldn’t make up his mind because he liked them all. My fav, right now - the newly built butter box, SO much fun for spinning on, and I’m also a long time fan of the rainbow rail. 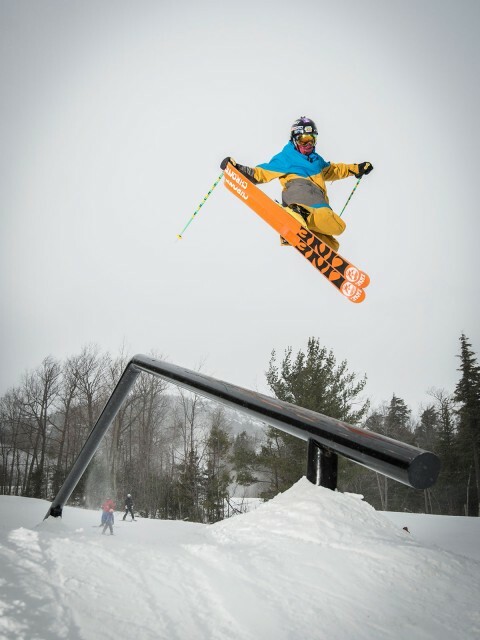 One of the things I enjoy most about the playground at Whiteface is that even though the heart and soul of the park is definitely the big park on Brookside, there is a large focus on the progression of park riding. 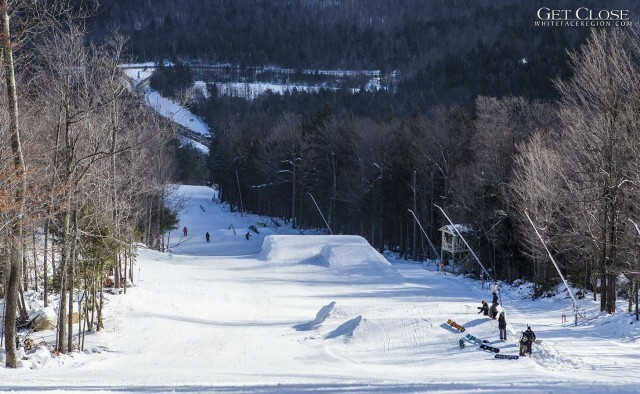 There's an ever-growing little kids park over on Kids Kampus, another beginner park main-side on Fox - where they are getting ready to set up the beginner/intermediate jump line under the Face lift, and then there’s the intermediate park on Broadway. There’s the pump track at the top of Bear (off of Parkway Exit), and they are relocating the airbag (another favorite of mine) to just off of Brookside (accessed from Boreen). Not to mention, I suspect the boarder/skier-cross course will be going in on Wolf soon (if it’s hasn’t already). I have fun hitting them all up. I always have a goal to hit as many as I can each year, I usually shoot for 80-90% of the features, most years I don’t make it over the largest jump in the park and I stay away from a handful of rails where my personal risk to reward factor just isn’t there. But that’s the beauty of it, you can make it what you want and push yourself how you want. I have just as much fun in the intro and intermediate park and enjoy the progression of it all, starting small until I’m comfortable and working up from there. 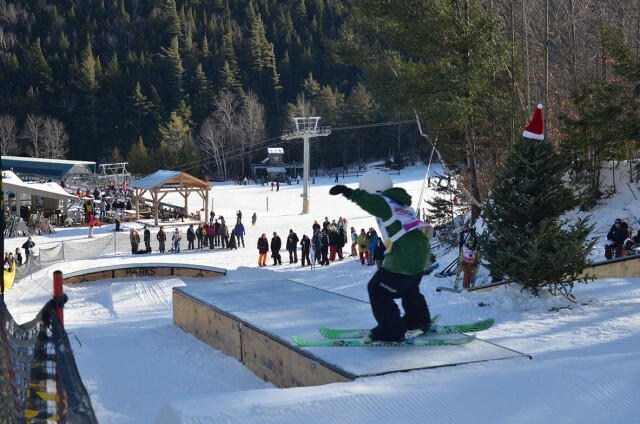 The Terrain Park staff hosts a free park session once a month throughout the season, it’s a fun time for all different ages to come out and learn a bit about the park. 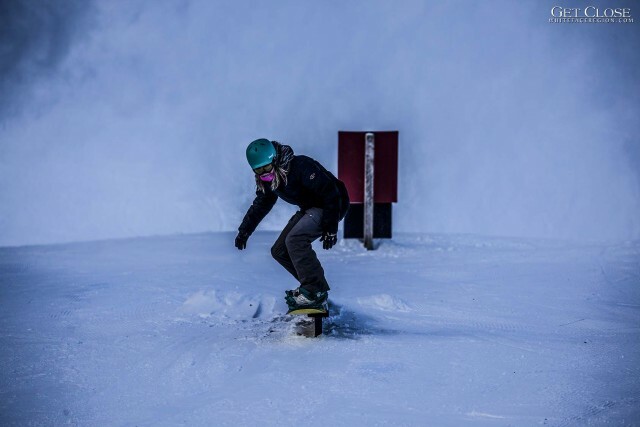 The crew says they see everything from little kids to adult women learning to hit features on their skis and boards. I highly recommend putting these days on your calendar and coming out to spend an hour with the park crew. 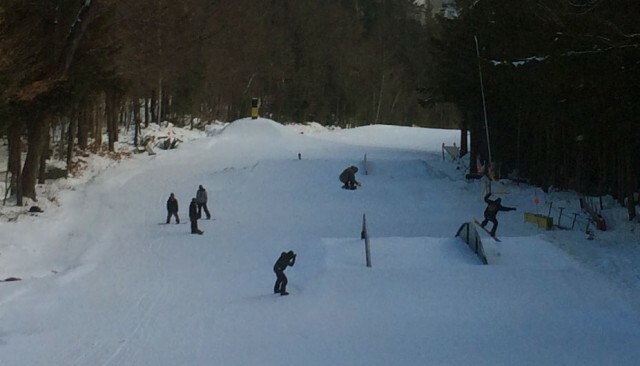 The guys hit a few more of the rails and we finished up at the butter box (that’s right, my favorite). I dropped in, spun onto the box, spinning right to the end, smile - I was instantly grinning ear to ear, such plain simple fun… I hiked up to do it one more time. After our little session it was lunch time. I thanked the guys and went to take one more run before heading back to work while the guys went to grab a bite to eat. Josh invited me to meet them back at the shop where they were doing some work, and then he’d be grooming later to get ready for Saturday’s rail jam. Here’s a few images from the shop, where the guys make new features (…aka butter box, etc) and currently have been rehabbing an arsenal of the older features and giving them a fresh new uniform look. 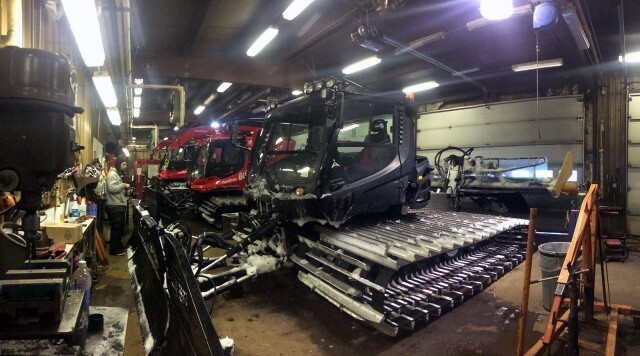 Josh took me over to one of their newest and definitely the most coveted toy, the groomer - a new Pisten Bully Park Pro Stealth Edition - apparently only one of two in the country. 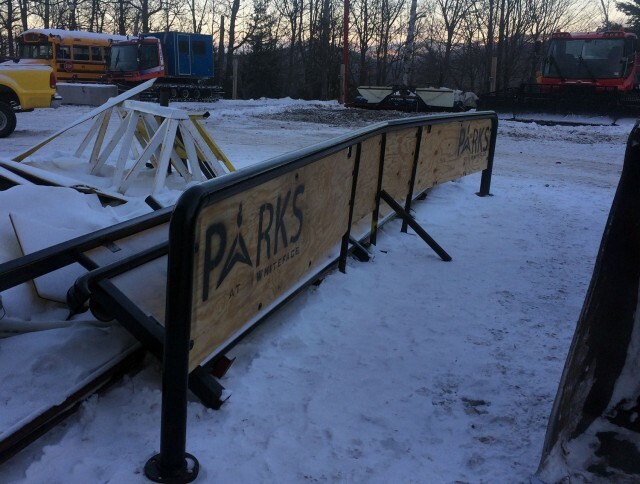 This bad boy really helps the guys do their job well in the park… and it’s pretty trick, bluetooth to the speakers, subwoofer, and specially designed automated features for grooming the jumps. I saw it, got to sit in it and instantly had groomer envy. Josh pulled her out of her cozy garage parking spot to go get the trail geared up for the rail jam. And, after waking up to one of the most gorgeous, perfect, Adirondack Saturdays, I had to come hang out, snap some photos and take some runs. 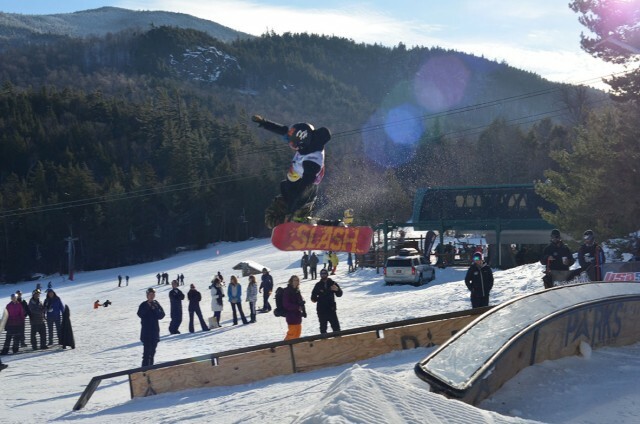 There are many ways to extremely enjoy yourself in the Wilmington - Whiteface - Adirondack corner of New York. 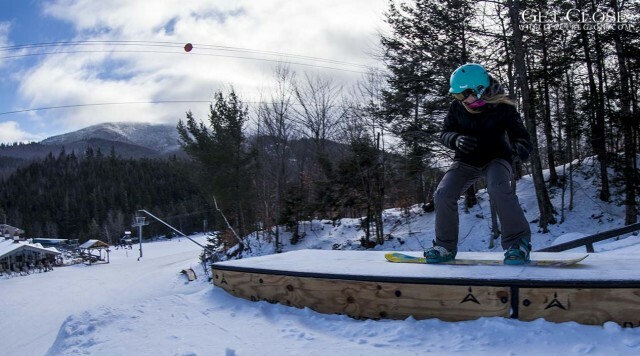 For Whiteface the park and trails are ready for you now or plan a trip later on in winter to hit up the Slides. Then, come back in the hotter weather for the summer adventure zone, along with some incredible and incredibly technical mountain biking with lower and upper mountain options for different abilities. Look into back or side country skiing & riding, ice climbing, rock climbing, spring whitewater kayaking, and more - the region has so much to offer! Check out area lodging & packages and start planning your extreme-ly - fun - exciting - memorable trip today!